After angering his father, Zeus, Apollo is cast out of Olympus, and banished to live life as a human. This isn’t the first time it’s happened…but it is the first time Apollo hasn’t been left with any of his immortal powers, and been given silly hair/acne/a flabby stomach and a silly name. As you can imagine, this hurts. A lot. While this is a stand-alone, it will probably mean more if you’re familiar with the characters/stories referenced. From the opening – where Apollo realises he’s been sent to earth as a spotty 16 year old – I was highly entertained. 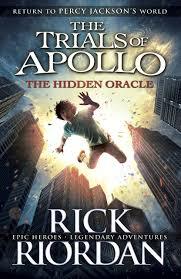 There’s a fine blend of humour and action, and Riordan gives the Greek/Roman tales a new spin. Apollo is saved by Meg, a street girl with a rather strange set of skills. Clearly, there’s more to her than meets the eye. 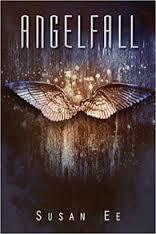 His only hope is to make it to Camp Half-Blood and to ask for help from the other demigods. Watching Apollo try to come to terms with his humanity was painful, but well-handled. Meg was a worthy companion, though I was surprised at the direction of the story. A rather bizarre final battle, but looking forward to seeing where this goes. Now I just have to wrestle the copy of book two from my son so I can get to read it! A story that will pluck at your heart-strings, even as you realise you’re being shamelessly manipulated. I’ve only read The Program by Suzanne Young, and this strikes me as something of a departure in subject matter – though the need to get you rooting for a character who’s struggling is there in spades. In this story we focus on Savannah, a young girl dealing with things anybody would find tough. Her younger brother – who she has a strong bond with – has some kind of developmental disorder which causes untold difficulties. Her mother has left them, and her father blames Evan for this. He has descended into alcoholism, neglecting his children and basically acting like someone who has given up. It is up to Savannah to deal with the day-to-day things, and to try to prevent her younger brother being sent to live with their aunt. The background to the story would be tough for anyone, but Savannah has been sent to a special school for troubled teens after stabbing her boyfriend with a pencil when he mocked Evan. Here she’s judged on her previous actions and nobody is prepared to look beyond the label she is given. After finishing this I did feel as if I was in pieces. This was brutal. Suzanne Young introduces us to these messed-up teenagers, makes us see beyond the judgement…and then throws everything at them. No matter what they have to endure they get up, and keep going. This made me so sad in many ways. The adults, and some of the kids, were awful. Then you get a good one. I was blinking away tears by the end. Very emotional. Originally published in 2006, this was a book I picked up as part of an online reading challenge. 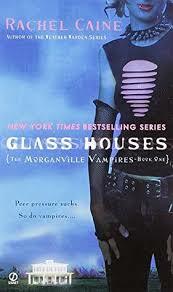 It’s part of a fifteen book series (which, in itself, suggests it won’t maintain my interest for more than a few books) focusing on Claire Danvers, a young student who moves to Morganville for college and discovers that the town has some mysterious links to vampires. There’s an awful lot to gripe about here. Claire, our young academically gifted student, is beyond stupid at so many points in the book. When the book opens she is being mercilessly bullied by her peers. We’re not talking the kind of attacks you might brush off – acid being thrown at her, pushing her down stairs etc – and she insists on staying! Her parents leave her at college after several attacks; we have a town run by vampires that humans let get away with killing off people and doing nothing about it; there’s no attempt to explain some of the characters’ situations; they’re hunting for a book that vampires have spent years looking for, and just happen to stumble across it…and I could go on. The fact is, Morganville is not a particularly well-constructed place. The story twists abruptly if it fits what’s needed, which can cause some confusion. The main character is pretty infuriating. And yet I found myself carried along by this. Superficially entertaining, and I did enjoy this (as long as I don’t think too closely about it). I’ll try one or two more because, as is often the case, you become slightly invested in what happens to these characters. 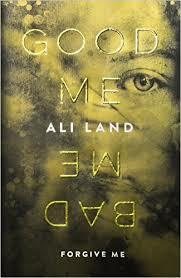 A tense, deeply troubling but utterly fascinating read. Our narrator is fifteen year old Annie, the daughter of a serial killer. Details of Annie’s life are drip-fed to us, and they make for a tough read. We learn, bit by bit, of the awful abuse meted out to Annie by the very person who is meant to care for her. Alongside this we are given some details of the murders her mother carried out. When Annie makes the decision to go to the police it sets in motion a court case, and Annie being taken into foster care. Her shiny new identity is as Milly. This is a chance for a new start, but throughout the book we are urged to consider the extent to which you can move on from your past, particularly when faced with new challenges such as the ‘Mean Girls’-style group in her new school led by her foster sister, Phoebe. Watching Milly’s attempts to settle into her new home always felt rather strained. We put it down to the strain of preparing to testify against your own mother, but there’s a point where Milly questions whether good me or bad me will win out – and we’re launched into a murky psychological area. Watching events unfold there was a grim inevitability to them, where I hoped the author wouldn’t go down this route but couldn’t resist seeing just where we’d be taken. 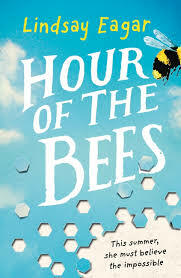 This book references Lord of the Flies throughout, and there’s a lurking menace behind most interactions. While I can’t say I enjoyed this book – some taboos feel like they don’t need to be broken – it was one I found myself mesmerised by, and I am pretty certain this will be all over the bestseller lists in months to come. Thanks to publishers and NetGalley for allowing me to read this prior to publication. 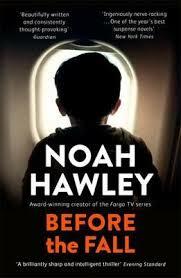 A charming story about growing up, changing and coming to terms with shifting family relationships. Carolina (who likes to be known as Carol) is twelve and she’s worried about moving to junior high at the end of the summer. However, she has a more pressing issue to deal with – the fact that her family are upping sticks for the summer to move to her grandfather’s ranch to prepare it for sale as his developing dementia leaves him unable to care for himself safely. Initially this felt like it would be a rather earnest read, with a lot of effort going into talking about dementia and the impact it has on Serge. There was a lot of time spent talking about the family’s Mexican roots, that they seemed to abandon until their return to the ranch. My first impressions of Serge and the ranch were wholly negative. The drought meant everything was on its last legs-perhaps in a symbiotic relationship with the grandfather. Anyway, Carol is reminiscent of her grandmother Rosa, so she strikes up a bond with her grandfather. He tells her stories about bees taking the water from the lake after the townspeople chopped down a tree that grew by its shores. Carol can’t tell what is story, what is a product of her grandfather’s dementia and what might be based in fact. As the story progresses we see Carol grow as a person. Her summer was nothing like she envisaged it, but it’s a moving story with a happy ending (of sorts). Make no mistake – in this story we are exposed to a murky world. Serena Cole is in the playground with her two young daughters. She goes missing, leaving her children in the park. Twenty hours later, she is found. Alongside this, the body of a defence lawyer is found. Could there be links between the cases? In this case, we know that’s inevitable. This is rather more focused on us working out just how the two cases are connected, and who does what. Told from multiple viewpoints this is a story packed full of intrigue. Alongside the investigation into a murder in Herefordshire we are exposed to the workings of a kidnap and ransom group. I was hooked on this from the moment I picked it up. The shifting perspectives meant it was quite a slippery read, and I wasn’t ever fully certain what revelation we’d get next. Sadly I felt some of the links were just too neat (ultimately) but the senseless nature of some of the events was quite upsetting. Thanks to NetGalley for the advance copy in exchange for my review. Originally published in 2014, this is the first in a trilogy which is something of a must for paranormal/fantasy fans (though it seems hard to get your hands on a physical copy in the UK in the usual outlets). Layla is our main character-a seventeen year old who has the ability to steal people’s souls with a kiss. She lives with Watchers (gargoyles who kill demons), is half Watcher but is also half demon, so we immediately guess there’s a bit more to this story. The beginning sets up the paranormal elements fairly well, but covering up any anomalies with the idea that the Watchers are keeping these ideas from humans. When Layla’s presence starts to attract all manner of demons, things become rather frantic. There’s no denying Armentrout gives you exactly what you expect (and want) and does it well. We have Layla, who has potential (though she’s a bit whiny for my liking); a cute best friend who cares for Layla but doesn’t show it until there’s a rival for her affections; her trusty human sidekicks (thinking Buffy) and a very very attractive but snarky rebel who should be the bad boy but who shows himself to be pretty decent. The story carried me along at breakneck pace. I think I fell slightly in love with Roth, Bambi and the cats. My big bug was Abbott and the Watchers who were clearly hiding a lot of things, and whose rigidity caused some real issues. 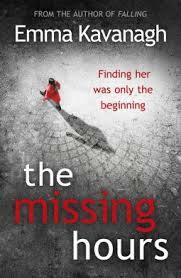 A blistering climax, which has ensured I will get book two because I can’t leave it hanging there! A huge thank you to the publishers and NetGalley for allowing me to read this prior to publication. ‘Before the Fall’ was one of those books where I went into it expecting a thrill-a-minute style, with a big twist…what I got was so much more subtle, character-led and a lot more enjoyable than I was expecting. The story opens with a private plane taking off. The people on board are a real mix of characters: entertainment mogul, David Bateman, his wife, Maggie, and their young children, alongside a failed painter, a Wall Street financier about to be investigated for money-laundering, his wife, the hired security and the crew responsible for the plane. Only eighteen minutes into the flight there is a crash and only two of this cast of characters survive. I fully expected the story to focus on Maggie, but within a short space of time we are following Scott as he surfaces in the water and makes his desperate attempt to swim ashore, carrying the Bateman’s four year old son. It’s hard to give my thoughts on this novel without giving spoilers. As we are teased with information we realise that many of these characters could have been the target of some form of attack. Alongside the attempts to investigate the crash we are subject to the media intervention, as they are so desperate to create their own heroes and villains. I really liked the fact that we are slowly given extra details and information that allow us to piece together what actually happened. 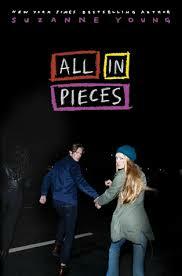 This was an intriguing thriller, but the focus on character was what really made it for me. Sydney Aarons is fed up of dealing with her agoraphobic mother and younger sister. She is putting her life on hold as she looks after those around her. Sounds like the plot of a novel about a much older character than our teenage narrator, but it’s the perfect set-up for doing something drastic. When she gets the chance to join her best friend, Leela, on a four week backpacking holiday, Sydney takes it. As we follow them on their travels we watch friendships challenged, new friendships forged and some love interest developing. This was a quick and fairly light-hearted read. I wanted the girls to do more with their experience, and I did find the style overly formulaic by the end. The girls arrive in their new destination, find a room, find food/drink and then find people to talk to/flirt with. There might be the odd reference to a visit to a place of significance. But that is it. Repeated…over and over and over again. It was entertaining but not particularly memorable. 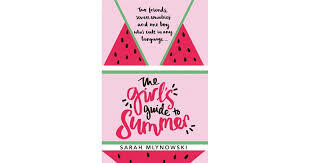 One of those perfect beach reads for teens who may be dreaming of having their own adventure and holiday fling. I guess if you were stuck in a tent in a soggy field with squabbling siblings (as much of my holidays were) then this would sound like the ultimate wish-fulfilment! Originally published in 2011, this first in the trilogy was one I picked up as part of a reading challenge so it was one I approached with a relatively open-mind. The premise sounds exciting. Six weeks since the angels of the apocalypse attacked earth and destroyed life as we know it. However, the devastation and general state of things is set up as though it’s been a lot longer. The world-building and general set-up of the novel wasn’t wholly successful for me. We open watching seventeen year old Penryn take desperate measures to try and protect her family. Events kick off quickly, with Penryn watching an angel attacked. We’re under no illusion that angels are the bad guys, so it’s odd that Penryn helps the attacked angel and saves him from death. The desperation felt as she watches her sister seized by the attacking angels causes her to act in rather unexpected ways, but it still struck me as odd that she so willingly abandons her mother to try and rescue her sister. The relationship between Raffe and Penryn was snarky, but also rather cute. I really wanted more to develop between them-but the aid each offers throughout the book and hints of their true feelings has to be enough for now. Plenty of action, and I feel that some elements of this worked better than others. The ending was frustrating beyond belief, but I’m not sure I cared enough to go on and continue the series.